Enlarged prostate is a condition that can commonly appear in men as they age. 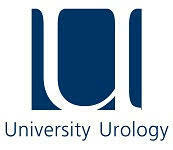 The urethra passes through the center of the prostate gland and the prostate is located beneath the bladder. When the prostate enlarges, it begins to block urine flow. An enlarged prostate gland can cause physical discomfort, as well as bladder, urinary tract or kidney problems. The Mayo Clinic estimates that one third of men will experience BPH symptoms by the age of 60.